Following on from Roy Bhaskar’s first two books, A Realist Theory of Science and The Possibility of Naturalism, Scientific Realism and Human Emancipation, establishes the conception of social science as explanatory—and thence emancipatory—critique. Scientific Realism and Human Emancipation starts from an assessment of the impasse of contemporary accounts of science as stemming from an incomplete critique of positivism. It then proceeds to a systematic exposition of scientific realism in the form of transcendental realism, highlighting a conception of science as explanatory of a structured, differentiated and changing world. Turning to the social domain, the book argues for a view of the social order as conditioned by, and emergent from, nature. Advocating a critical naturalism, the author shows how the transformational model of social activity together with the conception of social science as explanatory critique which it entails, resolves the divisions and dualisms besetting orthodox social and normative theory: between society and the individual, structure and agency, meaning and behavior, mind and body, reason and cause, fact and value, and theory and practice. The book then goes on to discuss the emancipatory implications of social science and sketches the nature of the depth investigation characteristically entailed. 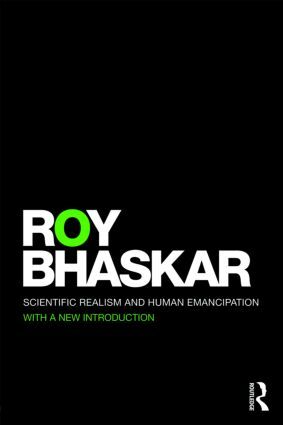 In the highly innovative third part of the book Roy Bhaskar completes his critique of positivism by developing a theory of philosophical discourse and ideology, on the basis of the transcendental realism and critical naturalism already developed, showing how positivism functions as a restrictive ideology of and for science and other social practices.